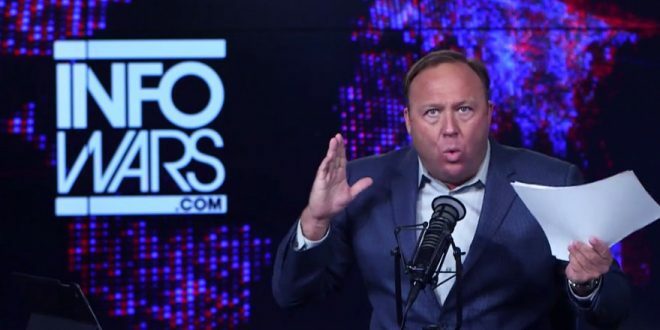 Alex Jones: Globalists Are Planning A False Flag Hit On Parkland's David Hogg To Turn Him Into A Martyr - Joe.My.God. “It’s just crazy we’ve gotten to this point, but this is the globalists and their model. The same thing is being done in Europe. So Matt Bracken believes, and I agree with him, he’s got a detailed report right here in front of me, that they’re planning something really, really big with a false flag involving David Hogg, who we pray for, we don’t want anything to happen to him — just like Obama — that [would] turn him into a martyr. “And I totally agree with his analysis, he has predicted the other globalist events and other triggered events. Break this down, this emergency alert, maximum danger, as you say in your report to me that you wanted to cover, and I totally agree, and that we are now — you don’t like to be hysterical, you’re not, but you’re saying this is either a false flag or a guided flag. I’ve said, ‘Man if the globalists set him up as a martyr, and then all the things he’s pushed.’ And then we’ve got Hogg out there — no one’s challenged it — on his own Reddit saying that he wants to come back as a — well that’s Prince Charles and Prince Philip want to come back as a virus to kill you — he says he wants viruses basically in mosquitoes to reduce population, billions of people. It’s just a crazy globalist religion.” – Alex Jones, speaking today on InfoWars.